5 Beautiful Themes for frontend. Multiple Layouts with Listing and Accordion Option. Accordion template with hierarchy of Countries, States, Cities and Stores. Color Palette for Google Maps Plugin UI Color Selection. 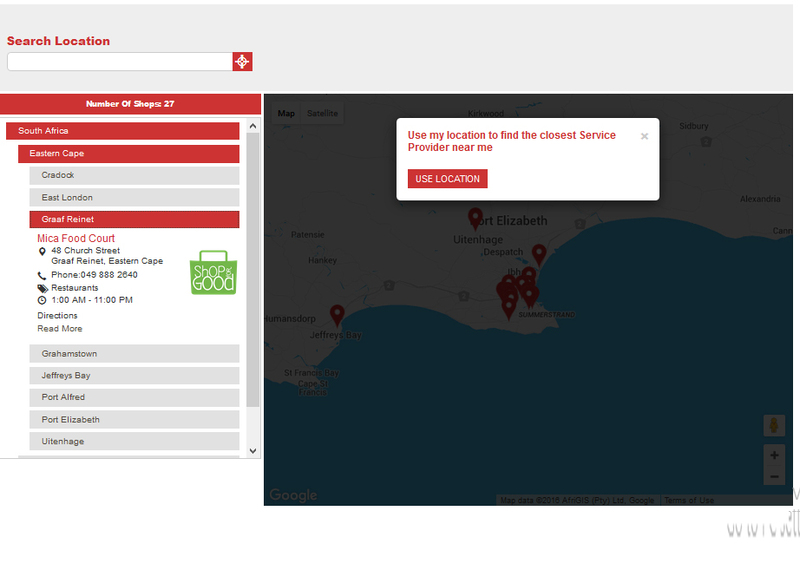 Extra Template for Deals Websites to show their exciting deals on Maps. Extra Template for Real Estate websites to show their Properties and categorize them into Sale, Rent and Featured. Easily customize your info window content, which is a very unique feature. Easily customize your store list by just adding few keywords. Admin Dashboard for Store Locator with all the stats of your markers, stores, categories and search. Analytics Bar Chart to Show user searches which location they have searched most and which store is seen most. 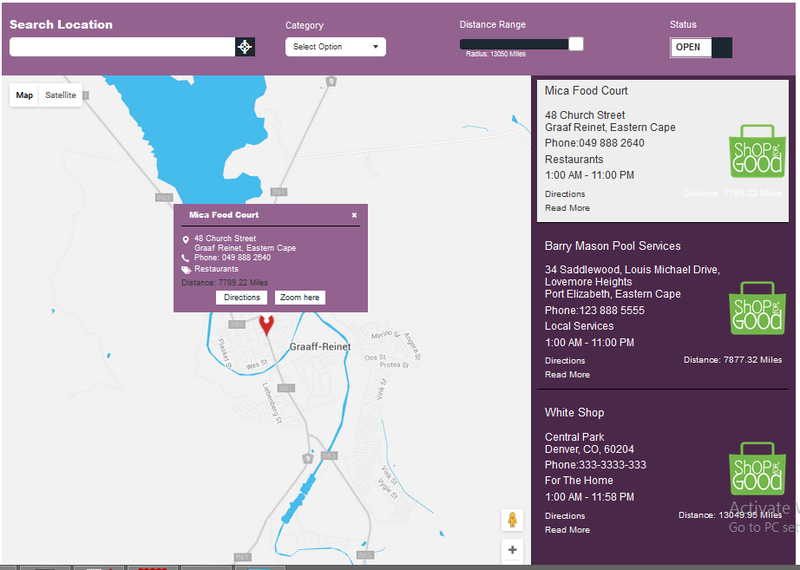 Analytics Bar Chart to Show Searches, top stores and top locations. Time Selection for Each Day for Every Location. Duplicate any Store with a Single Click. Add Markers with Each Category, Switch between Category Markers and Default Markers. 2 Prompt Location dialog for GeoLocation. Prompt Location 2nd dialog ask user to enter his Default Location in case site is not using SSL. Assign Multiple Categories to single store. All the ASL Settings can be Overridden by ShortCode Attributes. Add Minimum and Maximum Zoom Level for your google maps. Fetch Location Coordinates (Lat/Lng) as you type in store address. Too many markers? Enable Marker Clustering. 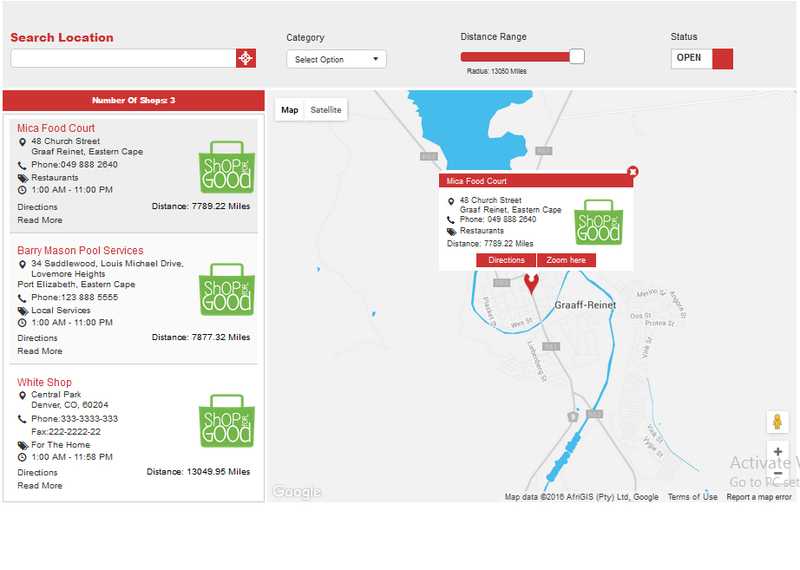 Full Width Interactive Google Maps Template. Choose Stores Time Format 12 or 24 Hours. Draggable Marker to PinPoint Location. Manage Markers icons with names ( UPDATE, ADD and Delete). Set the zoom level of marker clicked. Manage Categories icons with names ( UPDATE, ADD and Delete). Import / Export Stores Excel Sheet with all the columns. Delete All Stores with Single Click. Choose a Google map type Hybrid, Roadmap, Satellite or Terrain. Prompt Location show the dialog box for confirmation to share current location. Set Default Zoom of your Map. Load on bound fetch Only markers of the screen. Show additional Information about Store. Assign Marker to Each Category and Enable Category Markers. Draw Shapes/Circle around your best locations. Change Placeholder Text for your search field. Show Category Icons instead of Marker icons. Set Default Lat/Lng of your Map. Change font color for default Template. 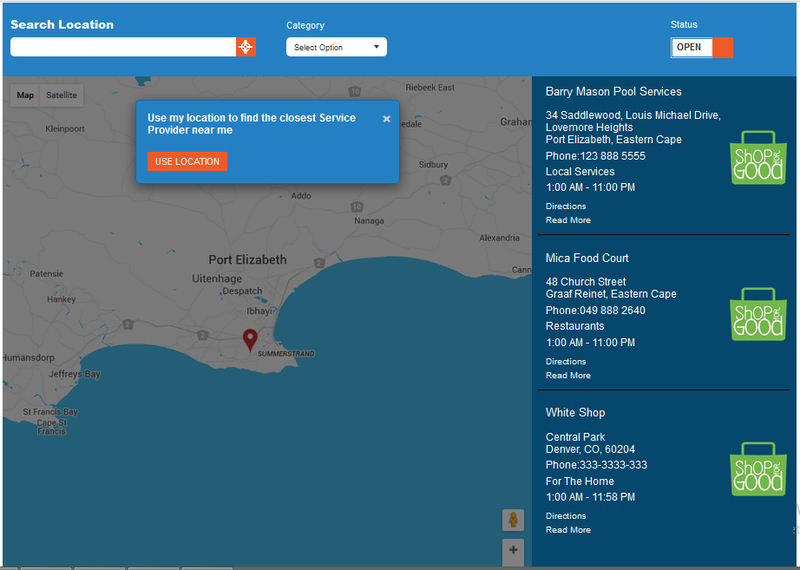 Search Stores with Search by search by Store ID, Title, Description, Street, State, City, Phone, Email, URL, Postal Code, Disabled, Marker, Start Time, End Time, Logo and Created Date. Customize your google maps with Drawing Overlay (Polygon, Rectangle, Circle) of Multiple Colors. Choose Maps look and feel from Snazzy Maps. Search by Address with auto-panning option. 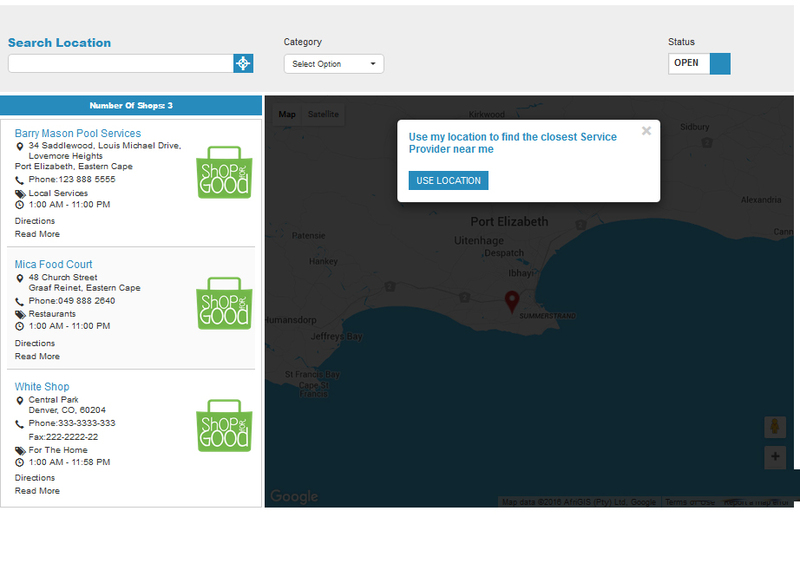 Filter Store Locator by Category for multiple store locators. Add Google Layers to Show Traffic, Transit and Bike Layers. Counter of Total Stores with Live Update as you Pan over Map. Restrict your google Search to Country. Switch between Google Search and Title Search on Store Locator. Enable Full Width for your Plugin. Add Text for “No Item Found”. 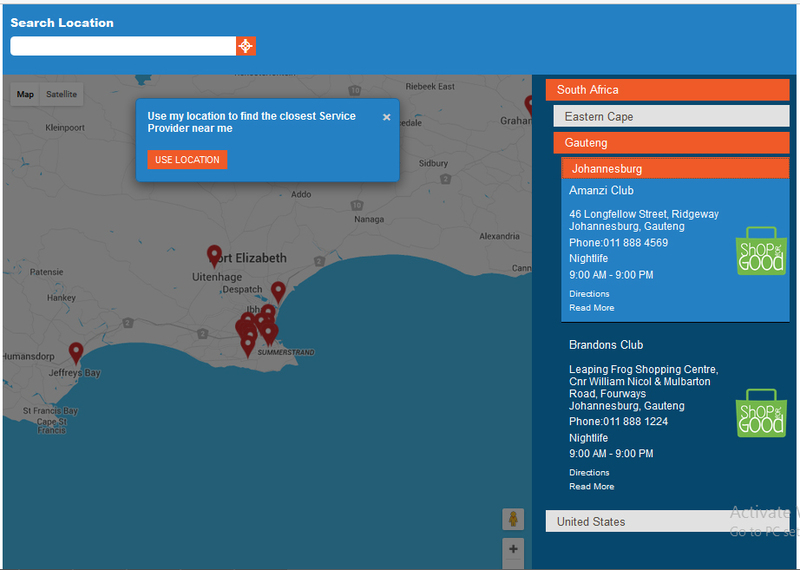 Show Nearest Stores from search location. 65+ Advance Options for Admin.